When designer Don O'Neill talks about creating a fairy-tale wedding, he means it. 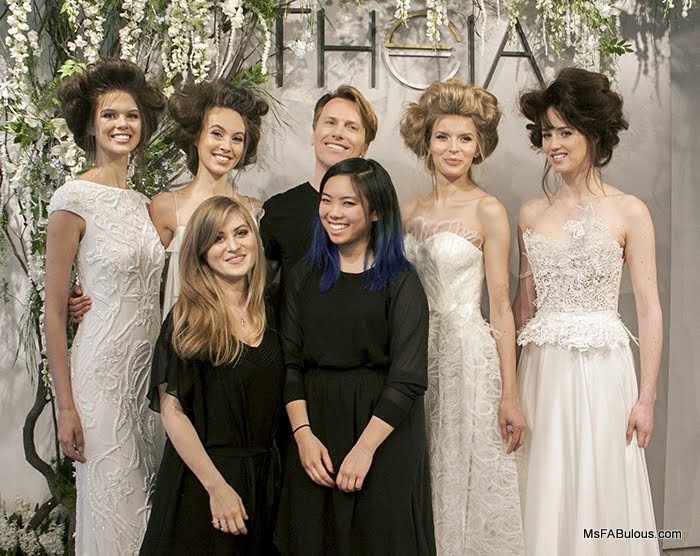 The THEIA 2016 bridal collection was inspired by illustrations of Hansel and Gretel, The Brothers Grimm and other storybooks of the Victorian era. 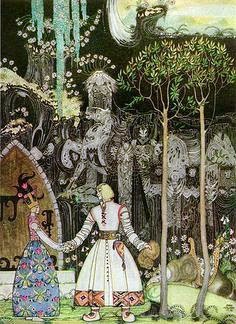 The muse specifically was the Art Nouveau aesthetic of the artist Kay Rasmus Nielsen. You can see the influence in the delicate butterfly appliques on a bodice, the illustrations printed on transparent silk, Art Nouveau motifs beaded onto the gowns and wispy web-like fabric treatments complete the theme. I grew up on the same books that had these illustrations. I was also obsessed with Hansel and Gretel at the age of 3 (though it was more for the idea of a gingerbread house than anything else). At 5, I was obsessed with the witch after seeing the Canadian opera version of this tale. She was my childhood standard of glamor all the way into my teen years as she was the first person I had ever seen with glitter eyelashes and jeweled nails. 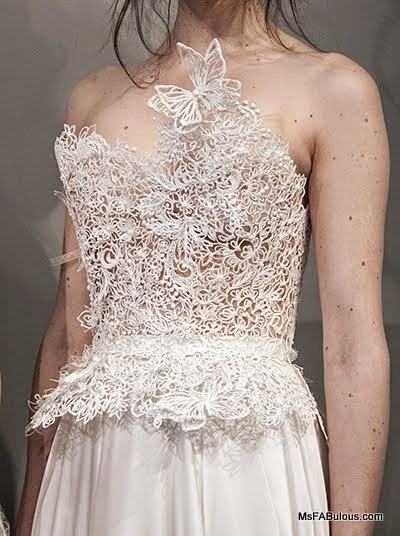 What many bridal collections do is water down trends seen in Haute Couture into a wedding dress. 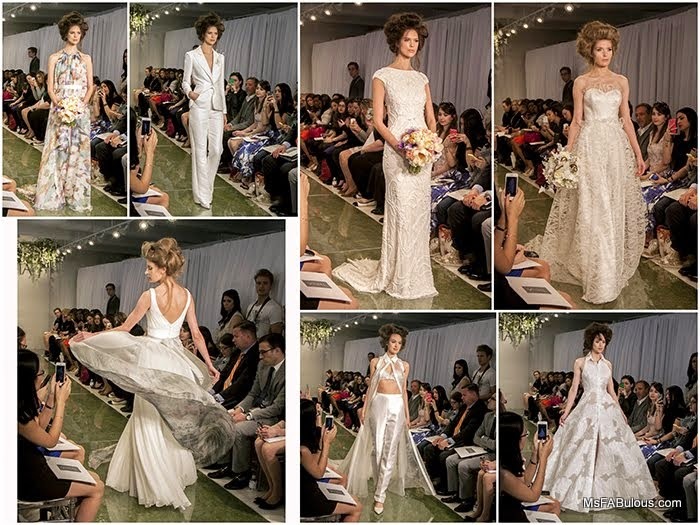 What I love about THEIA is that Don O'Neil will take fashion forward silhouettes from sportswear and give it a luxurious makeover for walking down the aisle. How gorgeous is the silk jacquard shirt dress? Crop tops, a sleekly tailored suit are great for brides who want to stay true to their personal style when they get married. My favorite dress though was the finale gown. It was a lacy sculpture of butterfly 3-dimensional corset. Design team member Eduarda used an innovative 3D printing pen tool to draw/sculpt/print? The bodice of the dress. 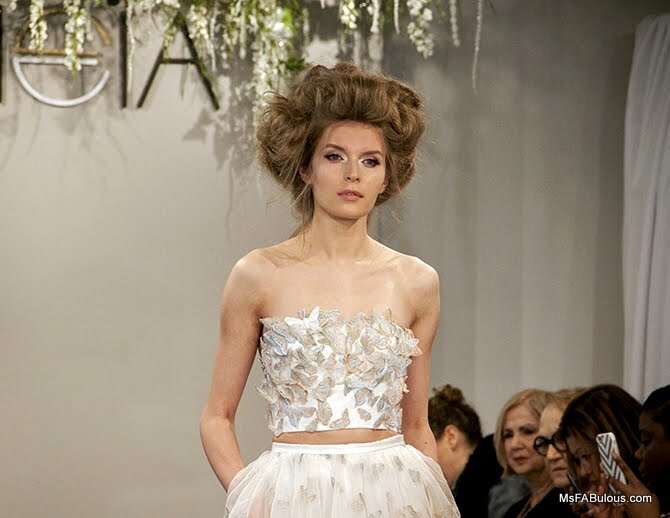 This look was the epitome of what Theia does the best in the industry. The brand experiments with cutting-edge technology and use it to execute classically beautiful fashion aesthetic in a new way. The intimate runway and backdrop were quite small but gave a thorough ambiance to the presentation. The woodsy moss runway and fanciful bouquets were created by fiancé floral designer Pascal Guillermie of Fleur de Pascal. It's so touching to see the longtime partnership in real life was also the perfect creative marriage on the runway, then soon to be romantic wedding in the upcoming year.